Seems like everyone has a Top Ten list these days, from Letterman to Wired magazine, everyone has a Top Ten. The Boy Scouts of America have a top ten essential list too, and I disagree with it. Pocketknife or multipurpose tool. Victorinox SwissTool, BSA No. B01786, $79.95. Yeoman Swiss Army Knife, No. B01252, $46.25, www.scoutstuff.org. First-aid kit. Scout Camper First Aid Kit, No. B01092, $18, www.scoutstuff.org. Extra clothing. Mountain Hardwear eXtend Zip T, $50, www.moutainhardwear.com. Patagonia Capilene SW crew, $34, www.patagonia.com. Ultimax by Wigwam socks, Cool-Lite Hiker, $8.40, www.wigwam.com. Headlamp or flashlight with extra batteries. Black Diamond's Moonlight, $29.95, www.blackdiamondequipment.com. LRI Photon II Micro-Light, $15.99, www.photonlight.com. Rain gear. Frogg Toggs Pro Action Suit, $74.95, www.froggtoggs.com. Water bottle. Nalgene water bottles, No. B02327, $9.50, www.scoutstuff.org. Map and compass. Silva pocket compass with magnifier and rubberized protective case, No. B01782, $27.95, www.scoutstuff.org. Matches and fire starter. Waterproof striker and waterproof heads, No. B01848, $2.45, www.scoutstuff.org. Coghlan's Emergency Tinder, $2.95, www.rei.com. Sun protection and sunglasses. Tilley LTM7 Airflo hat, $68, www.tilley.com. Coppertone Sport Ultra Sweatproof Dry Lotion (SPF 30), $9.99, www.coppertone.com. REI Polarized SP Glacier Glasses, $55, www.rei.com. Trail food. Richmoor Pineapple Chunks, No. B01621, $1.35. Gorp, No. B01620, $1.35, www.scoutstuff.org. PowerBar Energy Bites, $1.35, www.powerbar.com. Honey Stinger Bars, $1.69, www.honeystinger.com. So what is wrong with this picture? It's supposed to be the list of items every outdoor person should include in his or her pack. The original list was devised in the 1930's by The Mountaineers, a Seattle-based hiking,climbing, and conservation organization. Let's take it apart from top to bottom. 1. Pocket knife or multipurpose tool, great in concept, not so much if challenging field work is at hand, like procuring enough wood to get through a cold wet night. Trust me, you won't be using the fancy little saw in a multtool or a SAK for more than ten minutes for making serious wood for an over night stay. An axe and buck saw or at minimum an axe would be required. So why no axe on the list? I'm guessing political correctness had at least little something to do with it. 2. First Aid Kit. Okay so is this a bad idea? Well what they require in the kit is boo-boo mending items, band aids, sunburn cream, this sort of thing. Should it be in the top ten then? Yes, but it needs to be more robust and include a gear first aid kit as well. 3. Extra Clothing. I can see extra socks, an extra outer and inner layer so this isn't so bad. If you take an unexpected dip in the drink then dry clothes are critical, especially in sub freezing conditions. In cold conditions over exertion leads to sweating, stop exerting and when you start to cool down you'll freeze. Extra base layer is the minimum. 4. Flashlight or Headlamp and extra batteries. Does this qualify as a true top ten item? Batteries only last so long, overall usefulness short of being lost in a cave is questionable to me. I'm not one who'll travel the deep wood at night. Good way to break a leg or lose an eye, not to mention getting yourself completely lost. Make camp, which in my world, still includes a fire. Better to bivouac safely than wander the wood in the dark. 5. Rain Gear. I'll address this in my own list. 6. Water Bottle. Okay I agree with this one, instead of the colorful plastic BSA bottles I'd suggest a stainless steel single wall bottle that you can place in the coals of a fire to boil water or to cook in. 7. 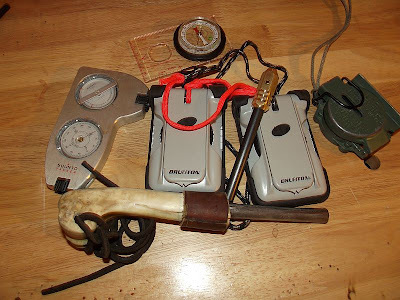 Map & Compass, agree here, provided the skills to use it are there. 8. Matches and fire starter, completely agree with having fire starting capability, at least two methods. I would ask here however, what it is the Boy Scout will be burning as the list does not include the tools required to procure firewood in any realistic quantity. 9. Sun protection and sunglasses, head cover is a great idea, don't necessarily disagree with that, don't believe it's a top ten item though. 10. Trail food. Hmm, well the modern scouts recommend "trail food" in prepackaged vacuum packed packages. If it's all ready to eat I guess that's okay, and since they don't include cooking pots or mess kits in their top ten list, clearly a warm meal over a warm fire is out of the question. No vessel to cook in and no way to procure wood short of snapping twigs for hours. Hope the granola works boys. The second list leaves off navigation in lieu of such critical items as a small flashlight or chap stick. Neither list has a pack to carry all the listed stuff, looks to me like that should be a required piece of kit. Let me say that I am not attacking the BSA, I was a Scout as a boy for a while and I enjoyed it. However, that is not to say that the motto of Be Prepared is being lived up to with that Top Ten List. It goes even beyond the BSA though, nearly every preparedness group, site, location or Chairborn Commando has a suggested Top 10. Each their own and I hope those lists prove robust enough should the need arise. My list, it's based on fulfilling the basic requirements to stay alive and years of actual use. It is NOT a survival list, it is a list of critical to me items that I can make my way with and have few to no problems. It is not a bunch of shrink wrapped stuff in the bottom of a sack that's there to make me feel better. It is a list of kit that gets used and gets me from surviving to thriving in the wild. 1. Pack. Got to have a means to carry the rest of it, needs to be big enough to hold it, comfortable enough for me to carry it, durable enough to handle the terrain you will be in. 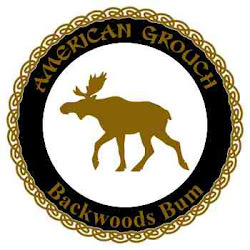 Bushwacking is tough on gear, off the beaten path requires a bit of beating, usually you and the gear bear the brunt of it. 2. Shelter. Usually a tarp/tent & poncho with a reflective blanket affixed to it. Affix extra 550 cord here as it makes it easy to carry and you can use it in the rolling or folding up of your shelter. You'll always have cordage if you do this and cordage is a fine thing indeed. 3. Fire Starter. In my case a solid Firesteel lashed to my belt and placed into a cargo or pants pocket. After years of toying with and practicing every method I could find when it came to fire starting, I'm convinced that the easiest and most reliable is a good firesteel, the ability to use it, and of course, not lose it! 4. Axe. The one tool to rule them all. With an axe you can do just about everything and do it easier than with a knife. Wood enough for overnights spent in hostile climes is damned hard to produce without the appropriate tool, be it an axe or packable buck saw. For versatility the axe wins in my world. 5. Cooking Pot or Mess Kit. Yes, really. Boiling water is critical as drinking tainted water will do you under with a quickness. Having the ability to boil water and cook a hot meal, not to mention make COFFEE, isn't just required for survival, it's required to keep me human. Inside this pot, a 20 cup percolator, I stuff dry food that I used for one dish meals. Oatmeal, pasta, rice, pinole, pemmican, coffee, tea. There is nothing quite like a good warm meal & a cup of coffee under a dry shelter with a drying fire popping aloud for company. 6. Navigation Ability. Most commonly a map & compass, some use a GPS, others use the stars and the sun. Learn to navigate, not only is it useful for survival and wilderness living, every Man should be able to do it. 7. Bedroll. This can be a common wool blanket or a high end sleeping system. Sleeping directly on the ground is not advised for a lot of reasons. A reasonable bedroll to match the prevailing conditions makes my essentials list. I keep a spare base layer in my bag, change into before sleep and out of in the morning. Keeps the bag clean on the inside and lets me air out my daily wear. 8. First Aid Kit. You need this not just for boo-boo repair though, take a class, learn what it takes to deal with more than just the common cuts, abrasions, minor burns and splinters, your life might depend on it. Your first aid kit contents should match your relative skills. Your first aid kit should also cover some basic repair to your gear as well. Needle, thread/dental floss, tape, file and so on. It needn't be over cumbersome but it needs to cover a lot of potentialities. This kit can easily hold some hooks, sinkers and line needed for a fishing kit. 9. Knife. Simple, fixed blade full tang that keeps a good edge and easy to refresh the edge thereof. So what is 10? Some folks would put signaling equipment here, whistle, mirror and so forth, others would have another outer layer or rain gear. Still others would suggest a means to put meat, fish or fowl on the menu and I don't disagree with them. My shelter is a poncho so it's also my rain gear. I wear wool and carry spare base layer in my sleeping bag. As for signaling, well this is where we'll just have to agree to disagree, it's not on my top ten. It might or might not be in a pocket, it just isn't on my top 10. 10. It depends on the season really. Heavy bugs or deep snow? Buggy times I'm taking either a mosquito net or a repellent. Deep winter, probably a 24" Buck Saw, as efficient as the axe is, the saw is more so when it comes to bucking wood for an all nighter. At the end of the day The List needs to include things you not only need but know how to use. It needs to be functional, portable, and durable. Things purchased in shrink wrap and not removed, generally speaking only fulfill one of those requirements. Why or who said it needed to be 10 isn't known to me. Guess it was just an easy way to remember things. Whatever path you take, if you take a path to the wild and woolly be prepared for eventualities, have the skills necessary and a cool head. Everything else will work itself out. So are the Boy Scouts wrong? Your last line was exactly what I was going to say--that the adult(s) would be carrying/using the axe/hatchet or even a fixed blade knife. I'm female, so was never a boy scout, but I read bladeforums and other similar boards and I've seen quite a few discussions of how the scouts have changed since many of the guys who post were boys. Among those changes seems to be "don't let the boys carry or use anything that could give them an owie". It's either that or they think that carrying a hatchet will turn a boy into a raving lunatic who'll kill everyone in sight. Either way it's insulting to the boys, isn't it? Seems like it's up to outdoorsy parents to teach their kids what the Scouts *used* to. Completely agree with you and I do think it's a bit insulting to the boys. We live in a litigious and politically correct Nanny state. Is it any wonder it's taking longer and longer for boys to grow up and mature? We've removed most of the guide posts and rights of passage from their journey into manhood. If they are confused, it's largely because society has confused them. Thanks for posting, great insights. Regarding the Wetterlings - I'm guessing they are the small hunting axe and the wildlife axe, correct? If a guy was going to buy one of the two, which would you recommend? Small, with a 10" handle. Wildlife, with a 13" handle. Small Hunting axe, with a 15 & 1/4" handle. Large Hunting axe, with a 19 & 1/2" handle. Swedish Forest axe, with a 25 & 1/2" handle. While they have other axes these are the ones I am familiar with and serve the purpose of bush work and trekking for me. 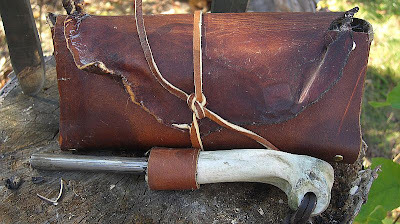 The small is ok for splitting small kindling, skinning, scraping hides and so on. Not for real wood processing. The wildlife fits the same role. The small hunting axe at 15&1/4" is about as small as I go for wood processing. Small axes can be very dangerous, a missed swing or glancing blow while you're standing puts the cutting edge into your legs. Best to use them while kneeling. 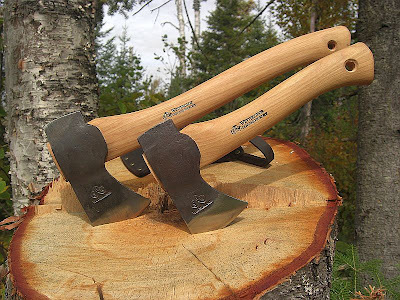 For winter trekking and camping when I'm going to me in need of heavy wood processing I swap the small hunting axe out for a full size axe with a 32" handle. 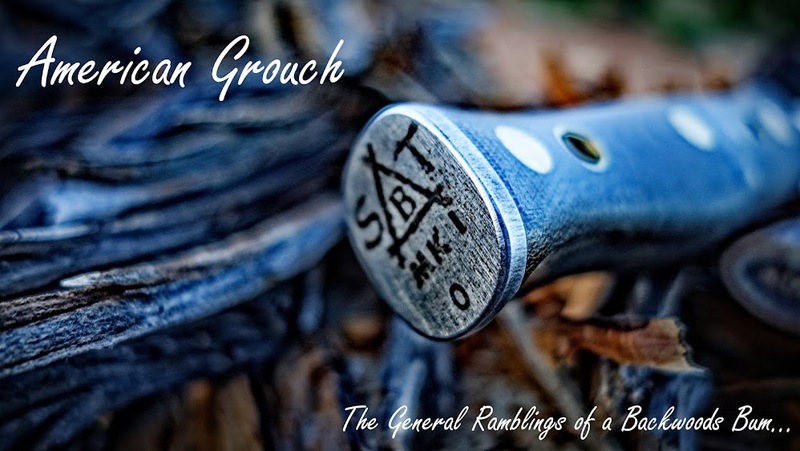 For basic camp chores and multipurpose use the small hunting axe works in a light duty fashion and can be pressed into heavy work if circumstances force it. 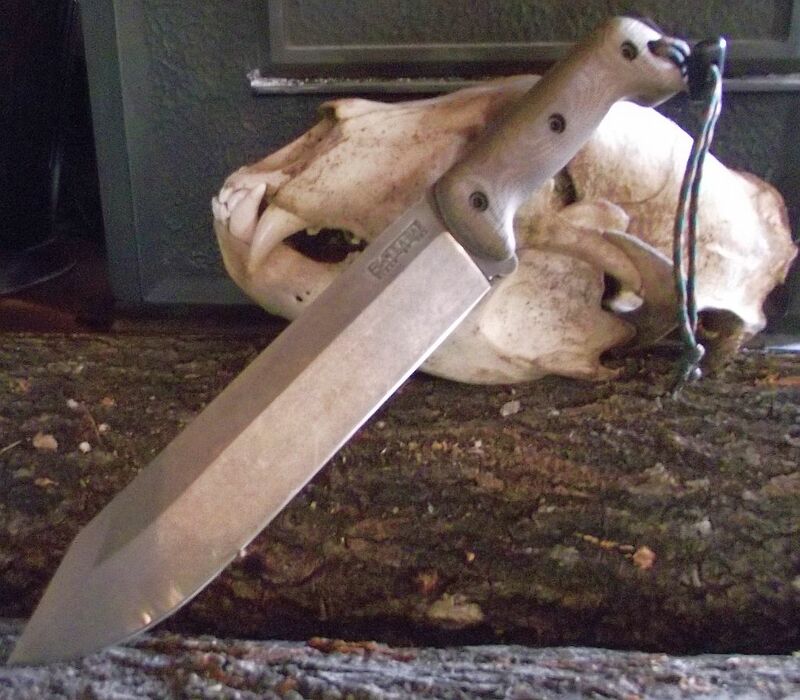 A gerber knives as a utility knife or just a pocket knife is on the top of my priority list.